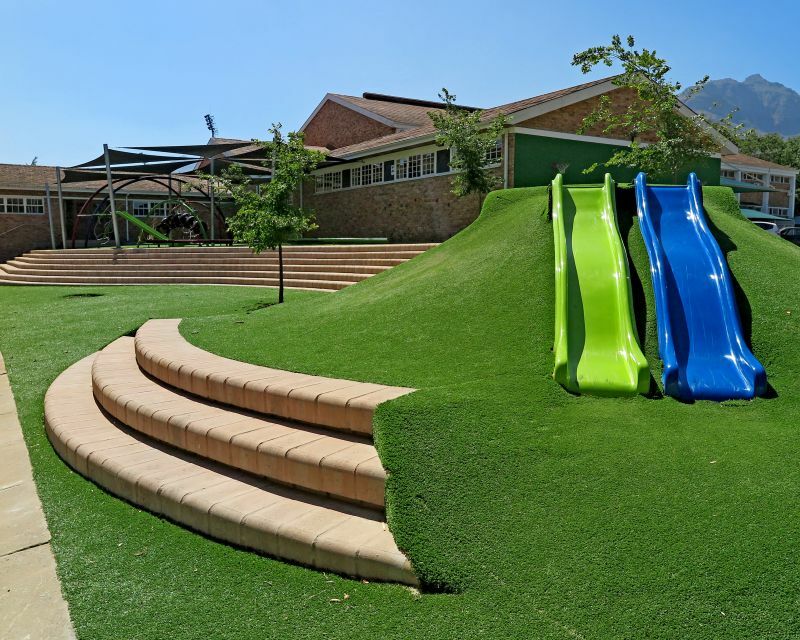 Originally a bland paved space, Eikestad Primary School in Stellenbosch, South Africa, decided to transform this area into a place for play for their pupils in July 2018. They turned to Architect Viridian Consulting Landscape Architects and Decorton, who served as subcontractor. 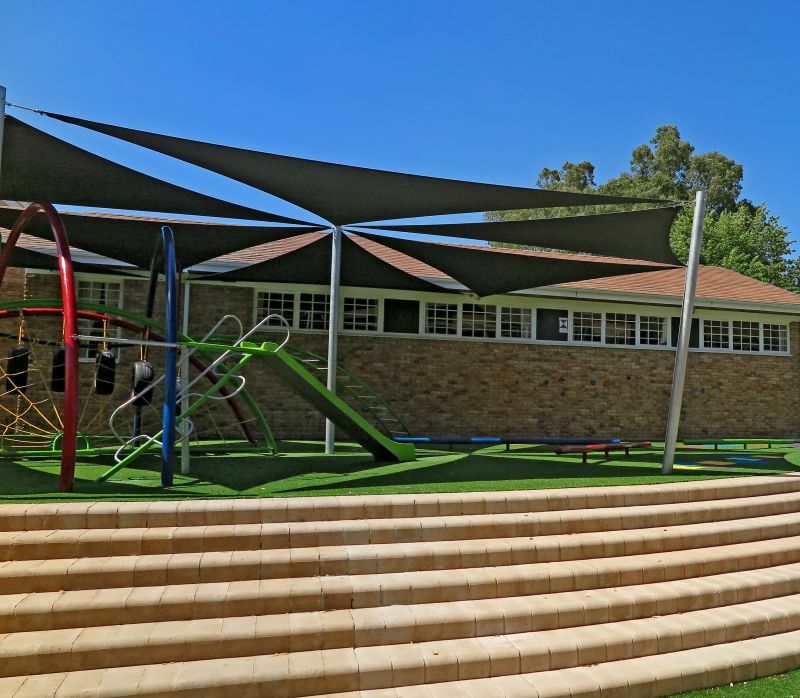 As the area sloped upwards considerably, the school needed to find a way to mitigate the possibility of injury by adding some low steps to allow students safe and easy access to the playground equipment. In addition to a concrete foundation underneath each row of steps, the blocks were all concrete filled for extra stability. The installation was completed in August 2018 and no major challenges were encountered. In addition to a concrete foundation underneath each row of steps, the blocks were all concrete filled for extra stability. “We avoided cutting the blocks as much as possible, rather making use of spacings between the blocks to form the rounded lines,” says Van Blerk. The high slope necessitated a very specific installation that was also safe and aesthetically appealing. 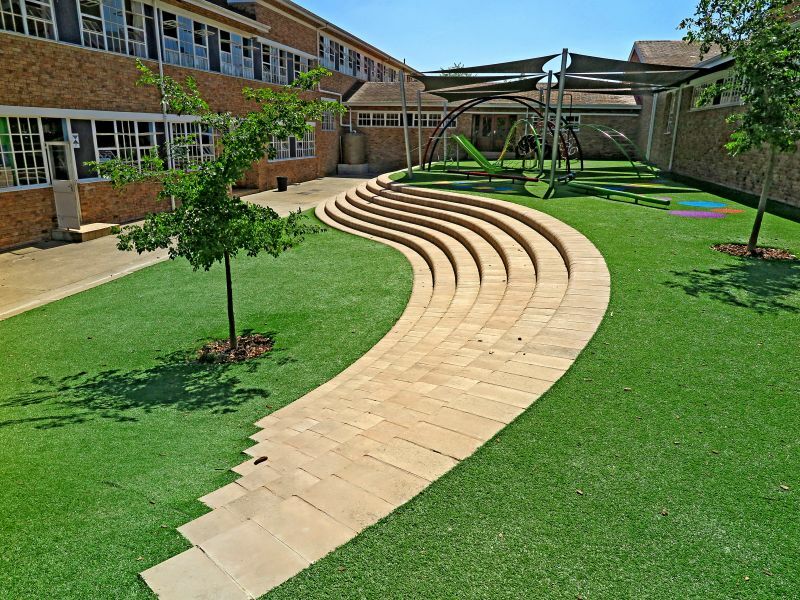 Main image: 4×4 Step Block™ by Terraforce offers a rounded/bullnose front to form softer steps and terraces. For more technical articles, sign up for our newsletter: http://www.buildinganddecor.co.za/register/. Subscribe to our free magazine on www.freemagazines.co.za. Or join other discussions on http://www.facebook.com/buildinganddecor, http://www.twitter.com/buildingdecor, https://www.instagram.com/buildinganddecor/ and https://www.linkedin.com/showcase/10172797/.